One thing that happens with married couples is a tendency to take each other for granted and not appreciate one another. It’s very easy for us to forget to thank God for our spouse, and to forget to thank and appreciate them for the little things they do. Yet we are always quick to point out to children the need to show proper manners by saying Thank You all the time. We always remember to thank and appreciate every one else – the postman, colleagues at work, the lady at the checkout etc. An extreme condition is when couples don’t see the good things about each other and begin to focus on each other’s shortcomings only. This is dangerous and like every bad condition, it develops gradually. “Thank you Jesus! Have you said it today? As you find reasons to say thank you, you will also find reasons to be thankful to God for blessing you with your spouse and with every one and everything He has blessed you with. 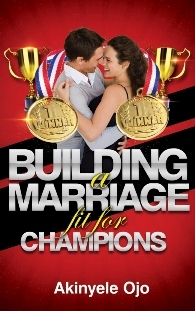 This entry was posted in Uncategorized and tagged Champions, God, Love, Marriage, thankful by marriageforchampions. Bookmark the permalink. So true! 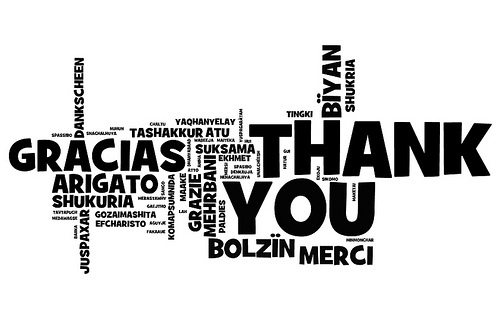 A word of thanks makes all the difference. I like the grafic, too. Do you know you can create similar graphics at wordle.net?